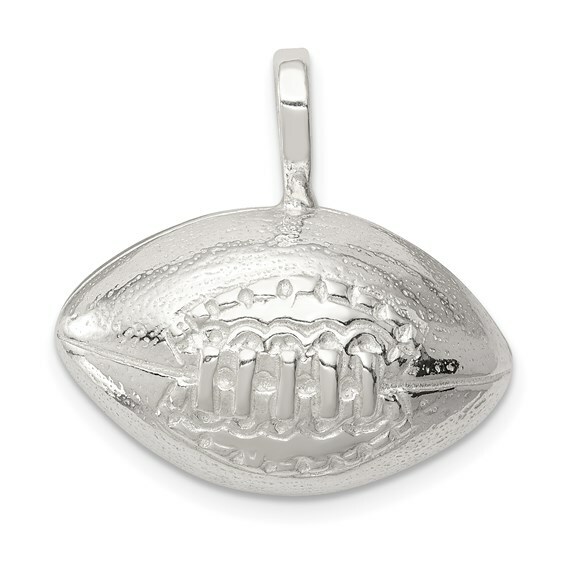 Sterling Silver football pendant has a concave back. Weight:4.19 grams. Item measures 5/8 inch tall by 7/8 inch wide without bail.